A few weeks ago, the WFTDA announced that they would be “beta testing” a new ruleset that does away with the minor penalty. The beta section 6 (PDF) of the updated rulebook simplifies things so that something is either a penalty or not a penalty, whereas previously it was either a major penalty, minor penalty, or no impact/no penalty. To accommodate this, some minor penalties have been upgraded to a major and a trip to the box, and other minors have been tossed out altogether to make them no impact/no penalty actions. DNN has a nice summary of the changes (and a lengthy discussion about them via reader comments), and I recommend you check them out for the full details. There will be seven games played under the beta penalty rules, one of which has already been completed. Three will be held during East Coast Extravaganza in late June, including a high-profile game between Charm City and Windy City. In July, Rocky Mountain will play two games within their home teams to also put the new penalty rules through their paces. There are a few revisions to the rules and the general consequences as a result of the changes that I’d like to highlight and discuss. You can read that as well as the full no-minors beta test game schedule after the jump. Many of the beta rules shift minor contact penalties down to no impact or up to a major penalty. Two points of the beta rules piqued my interest, pertaining to the highly contested stop-blocking tactics of flat-track derby. 6.9.11 (beta) – A clockwise block that forces the receiving opposing skater off balance, forward, and/or sideways, but does not cause her to lose her relative position. These were previously minor penalties. The act of blocking while moving clockwise has always been a penalty, but the 6.9.11 beta revision effectively makes it a guaranteed trip to the penalty box if a blocker moving contraflow to traffic contacts an opposing skater in any meaningful way. The 6.9.12 beta revision effectively says the same thing, but for a stationary blocker. Together, these two rules are saying what one rule could do just as well: A blocker may only legally block while they are skating in a counter-clockwise direction. 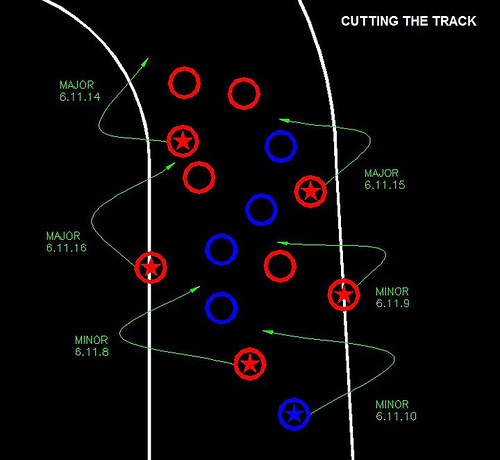 A blocker would still be able to stop on the track to impede other skaters or plug up the pack, but the beta revisions state they won’t be able to throw their weight around while doing it. That is, if approached by the opposing jammer, a stationary blocker would not be able to initiate contact while stopped, giving the jammer a fair chance to get around stationary walls. Naturally, the jammer would need to do this without back-blocking, and the moment the blocker rolls forward again, they can block however they like. This would effectively make a wall of skaters a stationary roadblock instead of true blockers. A stationary wall that wishes to remain stationary would need to actually not move at all, because if they lean over to the side to try to knock someone down coming through, they would be sent to the box per beta rule 6.9.11. To that effect, I think these rule tweaks will help with keeping the game moving along within the pack. I believe this is a good thing, as it makes more sense that the pack should always be moving. It doesn’t need to be moving fast—just moving, period. Teams that want to employ the wall-‘n-stall tactic can still do so, but they’ll just need to make sure they don’t stop the pack altogether. I believe this would still give a skater wanting to get through a fair chance to find a gap in the wall, due to speed variances of the individual blockers creating little openings here and there. Cutting rules have also been tweaked. Of all of the beta revisions, I feel this one is the most lopsided in terms of many more cutting infractions being upgraded to major penalties against very few being downgraded to no impact/no penalty. That’s not in terms of number or rules, but rather how the rules are applied in the game. On the whole, the meaning behind the beta revisions sends a clear message: Cutting of opponents or multiple skaters is not allowed whatsoever. In practice, the only real no-impact scenario involving cutting is a skater is allowed to cut one of her own blockers. If they cut more than one skater, regardless of team affiliation, it’s a trip to the box. 6.11.8 (beta) – An in bounds, upright and skating skater who has re-entered the track from out of bounds in front of one opposing in-play skater, which results in her having bettered her position. 6.11.12 (beta) – An in bounds, upright and skating skater who has re-entered the track from out of bounds in front of one opposing in-bounds skater during a No Pack scenario, which results in her having bettered her position relative to that in bounds skater. 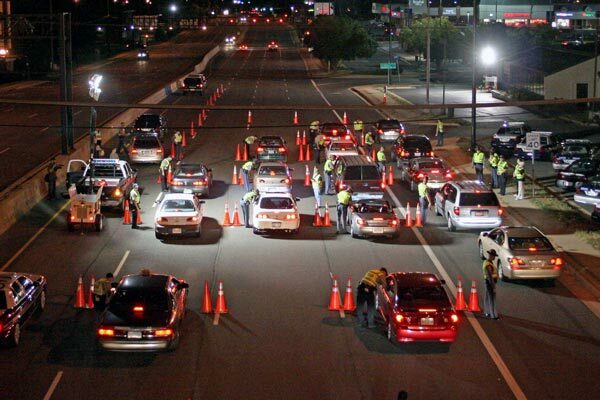 A jammer wanting to get through the pack would have to earn their way through under all circumstances. Jammers would no longer be able to trade a minor for a free pass around a particularly tough blocker. The minor cut wasn’t really a strategy worth employing during an initial pass for lead jammer status—doing that would normally give you a minor and not-lead jammer—but on scoring passes, a lead jammer and her team only had to effectively get around three of the four blockers to get an opportunity at a new scoring pass in if they felt taking a minor was worth saving time on a jam, such as during a power jam situation. (It was usually always worth it.) That won’t fly anymore with the beta revisions. The other beta revision I pointed out, 6.11.12, is somewhat of an oddball. It states that a jammer would no longer be able to cut around any number of opposing skaters who are out of play without being binned for doing so. (All blockers are out of play during a no-pack scenario, remember.) This means a jammer looking at out-of-play blockers at the head of the engagement zone would still need to skate through or around them, for fear of getting whistled off of the track for a penalty. I wonder why this wasn’t made a no-impact instead, seeing as you can’t really cut around a skater that isn’t technically there (out of play). If this were shifted to no-impact instead, a jammer doing this would technically be “penalized” to the effect that they wouldn’t get lead jammer status (no pass/no penalty) or get the points for those skaters if on a scoring pass. That seems to be a better reason for a jammer to want to legally pass those skaters in bounds. I think the punishment doesn’t fit the crime for this situation. Split packs and no-pack situations are very common throughout the course of a game, so situations where cutting penalties can be taken or should be avoided come up quite a bit during a game. Broadly, the beta revisions to cutting penalties are lopsidedly shifted towards box trips instead of no-impacts, leading to additional consequences. I believe the biggest one will be a bigger threat of aggressive jammers getting into penalty trouble or skaters having a better chance of getting ejected due to too many penalties. What used to be a ¼-penalty (a minor) is now either no penalty, or a full penalty. This means a lot of what used to be minor penalties no longer exist, so a skater would probably get one or two fewer penalty minutes as a result of minors not adding up. However, that also means certain key minors are now majors. Something a blocker or jammer is used to doing or trying to get away with that previously would have been a slap on the wrist may lead to them getting sent to the box instead. You may find a situation where what used to be three minors turn into three majors instead. I suppose it all depends on how the skaters skate with the new no-minor rules. Obviously, no skater would want to deliberately take a penalty (see below for another interesting consequence regarding that) so it’s not as if the penalty bench will need a revolving door installed in front of it. Skaters would also be less inclined to do things that used to be minors, knowing that doing so under the beta revisions will cost them and their team more dearly. The first game played under the beta ruleset, Windy City vs. Brewcity on April 10, only had one skater foul out toward the end of the game. However, the game was a blowout (Chicago won 232-27) so that’s not really the best indicator of how the major penalty modifications would work under stressful game situations. With a game that out of hand, skaters from both teams would be less likely to push each other, and therefore less likely to commit penalties. The ECE games in two months should provide a much better snapshot of how the rules affect competitive games. No more intentional fourth minors. Skaters would no longer have a reason to take an intentional fourth minor, because there would be no more minors. Good riddance to that. I’d always thought it unfair that teams got to pick the point in the game where a penalty was the least harmful to them, or trade a blocker penalty in a previous jam to ensure a jammer starts with a clean slate in the next jam. Penalties in sports should never work like that. No more skating with three minors. As above, a skater can’t skate carrying three minors, either. This is the one aspect of the rolling minor penalty that I liked, in that much like a key NBA player playing with five fouls near the end of a game, a skater skating with three minors could be sent off at any time. There was always tension when a jammer ref held up three fingers to a jammer during a critical game situation. Of course, this was mostly ruined by the fact that a skater could poodle at the start of a jam (grrrr!) and rid themselves of that burden at their convenience. (Is there anyway for an NBA player to make his fouls go away with little impact on gameplay?) At least that’s out of the question with the beta. If minor penalties stay in the game, it would be nice to see any intentional penalty be a major under any circumstances, to force skaters to carry their minors until they’re sent off properly. More freedom for blockers to fight for or keep their position. I agree with a lot of the beta revisions that brushing up against someone’s back shouldn’t be a penalty—derby is a contact sport, after all. Skaters should always be responsible for keeping on their own two feet. If someone doesn’t have the skill or balance to stay upright when another girl breathes on her from behind, it isn’t fair to the one that brushed her to get sent to the box. Hopefully the no impact version of this rule will help alleviate some of the ticky-tack fouls of that nature. More stifling defensive tactics (maybe). I envision a problem with blockers hitting a jammer out of bounds and then starts skating backward (booooo!) to force them to skate backwards, they can’t just skip around them and continue forward at the cost of a minor. It would be a trip to the penalty box. That’s good for the defense, but it could possibly stifle offensive opportunities and slow down the game. I don’t know if that’s actually going to happen, though, which is why I’m wanting to see the beta test games and see how that affects things. Simplified penalty tracking. I’m sure referees and NSOs are jumping for joy over this one. The infield would no longer need a whiteboard for tracking minor penalties, as the only thing requiring tracking would be majors. Those would be more easily tracked from the penalty box. Skaters that get their seventh major could be informed of that from the penalty bench and sent off immediately instead of being put back onto the track, where they could possibly get their eighth major. Plus, there’s no chance of a skater unintentionally getting sent to the box with three or five minors due to slow or otherwise poor communication between penalty trackers and referees, especially from outside pack refs. A penalty system that better matches those of mainstream sports. At the start of the NHL season this year, I went to an LA Kings game and was confused for a few moments as a skater was sent to the penalty box for a minor penalty. It took me a few moments to snap out of derby mode and realize that there are different severity levels of infractions in sports, and that is normal; roller derby is the sport that’s got it confused. In sports, there are violations (icing in hockey, shot clock violation in basketball), minor penalties (five yards in football, two minutes in hockey), major penalties (15 yards/five minutes), and misconduct (ejection) penalties for individuals who go too far. 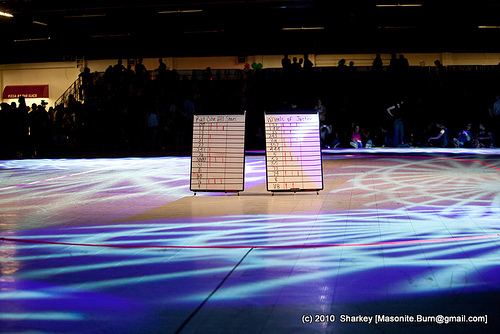 By taking rolling minors out of the equation in the beta revision, the WFTDA is starting to fall in line with how penalties are handled in sports. You either do something to get penalized, or you don’t. The minor penalty in roller derby is a built-in gray area of the rules that give refs discretion on what’s severe or not as severe, and gives skaters some leeway on what they can or can’t get away with. This is why you had situations where skaters would intentionally take minor penalties, such as cutting, since the rulebook gave skaters an option to gain an advantage at the cost of a minor penalty. No more. Derby with no minors means there’s nothing you can do to give yourself or your team a meaningful advantage. If you do something severe enough to commit a penalty, you go right to the box. This would close a lot of loopholes with how teams can intentionally commit a penalty in order to gain an advantage from it. While a lot of derby people may be up in arms about this somehow removing “strategy” from the game, just remember that there are no legitimate mainstream sports where doing this gives you a significant advantage, and for good reason. All in all, I believe having no rolling minor penalties in derby would be an overwhelming positive for the betterment of the flat-track amateur version of the sport. Note I differentiate between a “rolling minor penalty” versus a regular “minor penalty,” as other sports such as hockey also have minor penalties. The difference is minors in hockey send you to the box immediately, whereas a WFTDA minor penalty in the current rules just get added to your account while you stay rolling. Perhaps in the future, the definition of minor and major penalties in derby will change, such as a minor being a one-minute penalty and a major being a two-minute penalty. Let’s not get too far ahead of ourselves, though. Of the seven games scheduled for the beta revision test, three will be publicly viewable (the East Coast Extravaganza games), two will feature teams intimately comfortable with each other (Rocky Mountain home teams), two will feature a common team (Windy City), one has already taken place (the aforementioned April 10 game), and all of the remaining games will feature teams relatively close to each other in the regional and/or DNN rankings. The Windy/Brewcity game had teams pretty far apart in the rankings (DNN 8 vs 25; WFTDA NC 1 vs 8), as the lopsided score would confirm.